From chatting with your friends to entertaining yourself with an endless supply of cat videos, that smartphone in your pocket has more uses than your pocket knife ever did. Even perfect your golf swing. Awarded “Best Overall Product” and “Best Market Research” at the 2012 PGA Merchandise Show, SwingProfile golf swing analyzer, training aid and coaching is a must-have for golfers of all level. Availability of subscription plans may vary from time to time. Swing Profile is the essential golf analysis software for coaches and the perfect golf training aid for golfers of all level. Swing Profile starts out with an easy sign-up which can be done with an email or Facebook. When joining you’ll be greeted with a friendly 14 day free trial with full access to all features during the trial period. A quick walk through of the app begins and points out the features and where key functions are located. Before you start to analyze your swing, definitely watch the intro video. It will go over some of the app’s capabilities, including automatic swing detection, multiple video sync, Team Chat for chatting and sharing videos with your team, and recording progress of individuals or team. The Help section will take you back to the walk-through if you should need to revisit it. The top left menu has options to upgrade, shop, see user profile, edit contacts, watch introduction video, search feedback and FAQ, and import videos. To auto capture, set up your iPhone or iPad so that it is supported and is aimed appropriately to record yourself. You can choose either the front or back cameras to capture from. 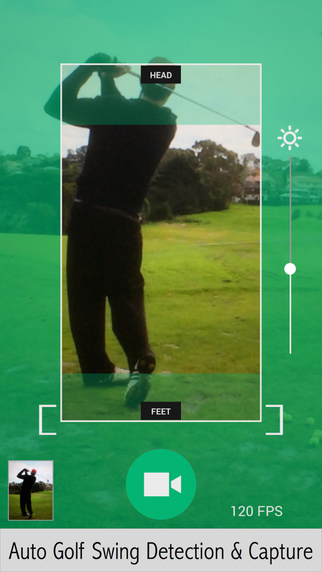 I will mention, lining up with the outline is crucial for the app to capture the swing correctly. Once in position, start swinging. 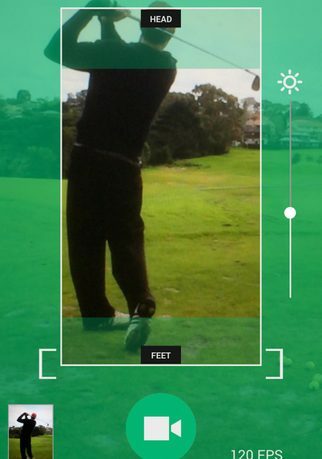 The app will tell you when your swing is captured and you can then analyze. Swing Profile has several tools for analyzing the golf swing. You can review your video at different speeds and see stills of all of the various positions of your swing profile. It automatically draws the swing plane, trims the video and can synchronize any two swings for easy comparison. The swing synchronization really comes in handy for analyzing your progress over time. Voiceover capability is also included for adding notes or teaching instructions. Even for an amateur golfer like me, Swing Profile was easy to use and very informative. It was interesting to see how my shots lined up and what could be improved. 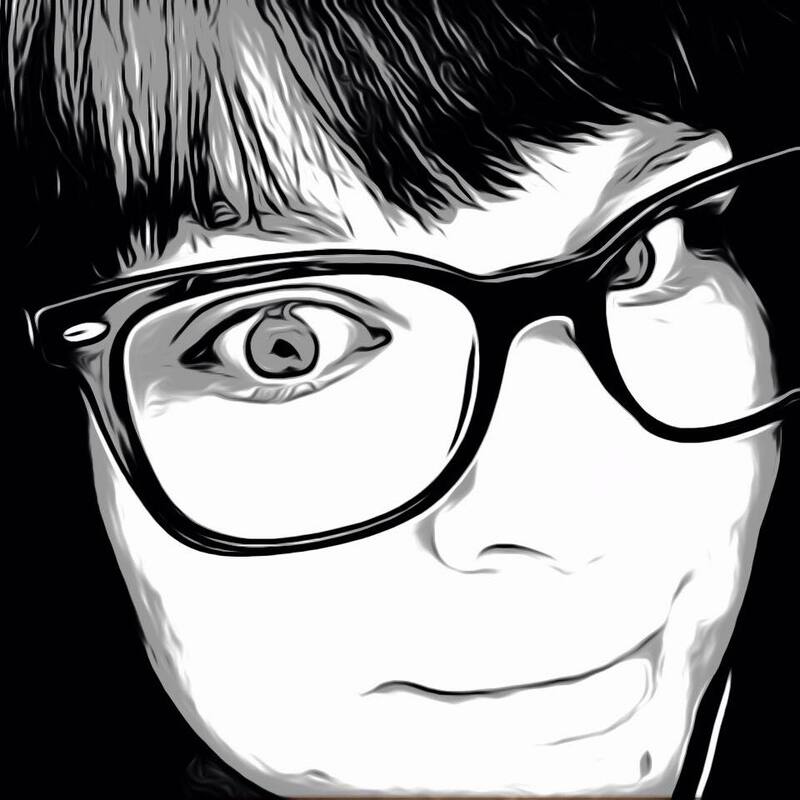 With the many other tools available such as the community functions, this would be a perfect learning tool and at least worth trying out and then weighing out whether it is worth the subscription costs. 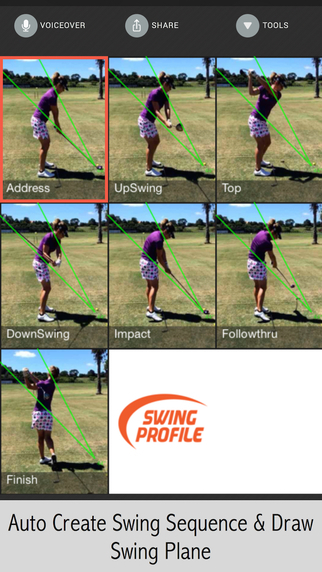 Swing Profile is available now in the App Store for free and is compatible with iPhone, iPad and iPod Touch.